It’s unclear why, but the Mac App Store is running a lot slower in OS X Lion for some users, including myself. By slow I mean you’ll encounter nearly constant beachballs as you click from app to app, with the absolute worst offender being the main category sections. I’m assuming there is an underlying bug or issue with the App Store backend, so a true fix will probably come from Apple to resolve this, but in the meantime I’ve found a couple troubleshooting tips that help to varying extents: deleting caches, and changing a security setting. I’ve had some success with deleting the caches, but over time things slow down again. Try this first because it’s the safest method. This second tip comes from MacStories, which I came across when reading @Viticci’s review of the new Core i5 MacBook Air. He also complained of the slowness of the App Store within Lion, and he’s not in the USA which shows this isn’t just a local server issue either. Initially when I ran into the App Stores sluggishness and beach balling, I assumed the Mac App Store was just swamped with more users from the Lion switch and downloading process. Now that time has passed and things are still slow, there’s obviously something else going on here, so let’s hope Apple can resolve it soon. The speed issues are negatively impacting the App Store experience, and when everything else in Lion is so fast, it feels very out of place. Beach balls for me as well in New Zealand. Brand new iMac with SSD installed. Thanks! The second tip did it for me. 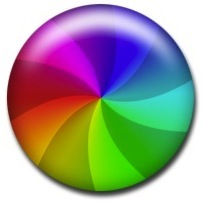 I still get the beachball every now and then but by far not as long as before. Wow! I used the first tip and the change was nothing short of dramatic. The store popped up immediately upon the start after I cleared the cache, which is amazing considering how laggy it has been lately. 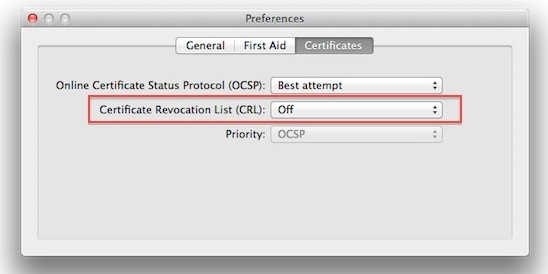 Any problem with security when put “off” in Certifcate Revocation? Deleting cache, temp files, language files and other useless binary files, create free space for Mac OS and thus helps to operate faster. Not much change for me, but thanks. Interested to see if it slows again over time…. The downloading is so slow!!! Is there a way to make it faster? Having a faster internet connection will allow apps to download faster. Just got a new 9,2 macbook pro 4 days ago. First day, problems with only mac store. Other downloads are perfect and get normal broadband speed. App store downloads running at barely 1MB/s. Dire. Checked wired and it was the same. Have now even upgraded broadband from 30Mb to 50Mb(speed test confirmed this speed), and app store still about 1MB every 3 seconds. Deleted cache and amended keychain, for the first few secs it worked, it doubled or tripled the awful speed in app store download but now it has slowed to crawl again…. Support were great but sadly not really much on troubleshooting, they are sending out a new machine which is great if its a bad install of mountain lion or something… but something tells me this wont fix the issue. I take it back, I paused the download and when I unpaused it rocketed up in speed nearly jumping to the heady heights of 2-3MB/s… :) I should be getting 6 but still.. Happy with this! Thanks for the tip! Apple should really get this sorted.